People want to take my purse. They don’t want it for its contents inside, they want it for the bag itself. The bag? 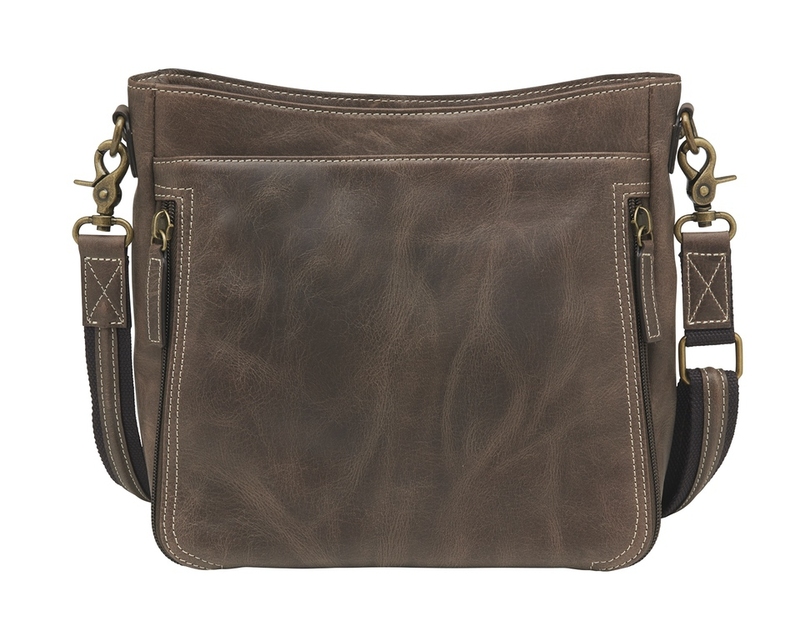 It’s a Gun Tote’n Mamas distressed buffalo leather CCW, cross-body bag with a snap-open front flap. Introduced into the “Cinnamon line” last year, this bag features a front flap that is held shut with several rare-earth magnets. Flip down the front flap, and you’ll see an organized storage area for credit cards, ID cards and other important items – which comes with RFID protection. “It’s our first bag that offers this protection,” said Claudia Chisholm, president of Gun Tote’n Mamas. At first, I wasn’t sure about ditching my Kate Spade wallet, to put credit cards, licenses, membership cards and such into the front area of this bag. Now, I’m not sure I ever want to be hunting for my wallet in the dark chasm of any bag again. Gun Tote’n Mamas from NRA 2018 from Christopher Swainhart on Vimeo. Because I am a stickler about performance, I demand that a bag do what it’s meant to do – in this case, act like a real holster. 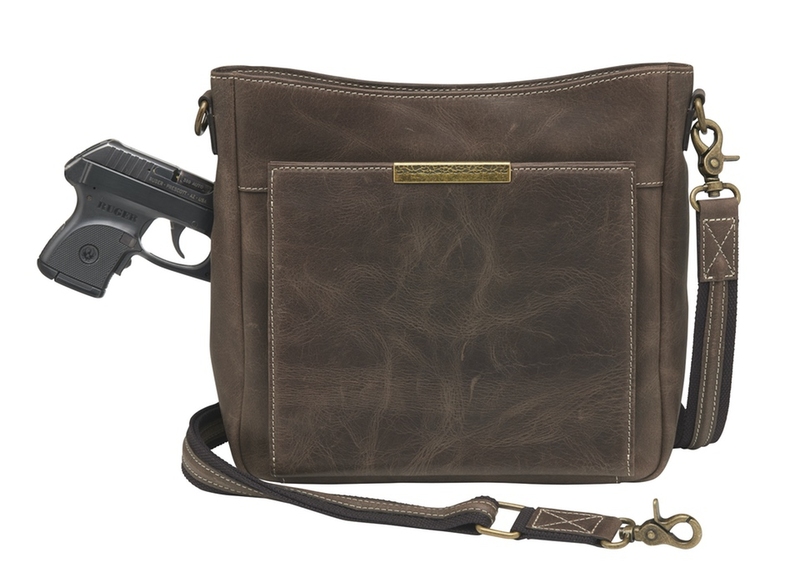 This bag does, and the holster will accommodate a pocket pistol or my full-size RP9 from Remington. Granted, the weight is quite a bit more when I carry the larger firearm, but especially this winter when I’m wearing a heavy coat, I should be able to carry a more powerful gun. On the range, I practiced with both the pocket revolver in .38 special and the 9. I drew from my strong hand side, carrying cross body by adjusting the strap to fit at the right height. I’m 5 feet 7 inches tall, and there is more room to go longer on the strap, so this bag should accommodate a taller person. I routinely practice from my CCW holster – whether in a bag or on my body – anywhere from 3 to 7 yards, with double taps, controlled pairs and the 5 shots in 5 seconds at 5 yards drill. Before I even fired a shot downrange, though, I practiced dry firing both guns and drawing them from the bag. I cannot stress enough the importance of these exercises, and you don’t need to be on the range to do dry fire. The bag, of course, will slow down your draw – no doubt about that – but it is still an option, and a viable option, for those people who want to carry. When I am wearing a CCW bag, I rarely take it off. If I do take it off, it’s secured and locked up or I will put it on my lap or wrap the strap around a knee under a table in a restaurant. This is serious business, carrying a gun in a bag. The other important thing about this bag, and several in the line, is that it doesn’t scream, “I’m a CCW bag!” It looks like an expensive, well made, thoughtfully chosen bag. I own 4 various bags from this company, and am already pondering my next purchase. 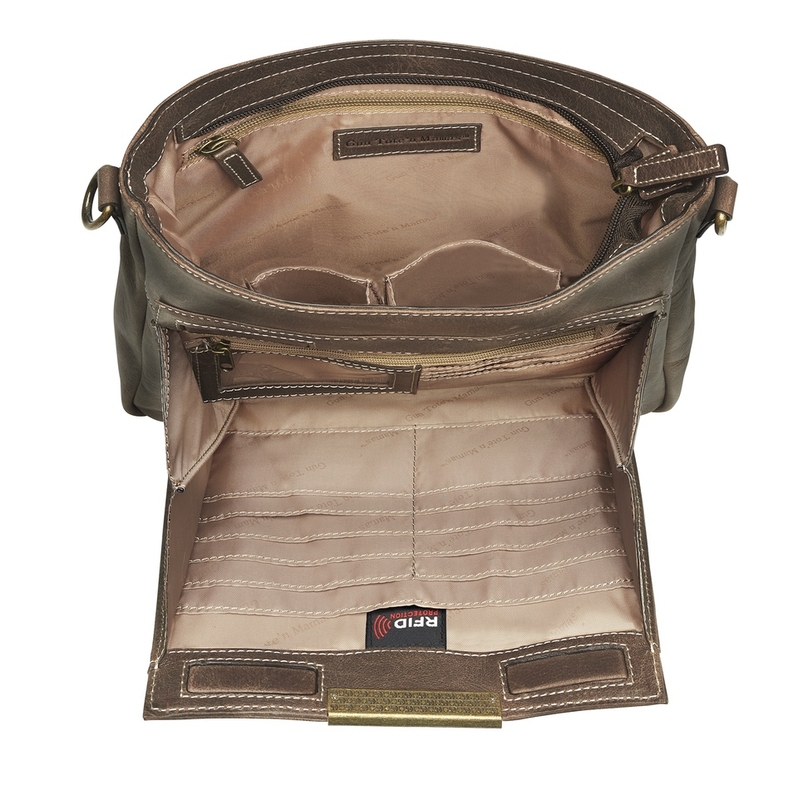 You may order the Gun Tote’n Mamas bags online if you cannot find them at your favorite outdoor retailer. Gun Tote’n Mamas also offers a military discount of 20% off to all active duty military and veterans, which is only available on the website and requires verification. MSRP: $169.95 although not available online yet. Visit Gun Tote’n Mamas here.